So how does one defend the OT as messianic? While a passage-by-passage approach would certainly be useful, it would either produce a) limited room for engaging with the alternate viewpoint, or b) an absolutely massive book! Instead, Rydelnik takes a big-picture approach by arguing that the Old Testament in its entirety is a messianic book. Chapter 1 explains the importance of messianic prophecy for interpretation, confidence in Scripture, and apologetics. 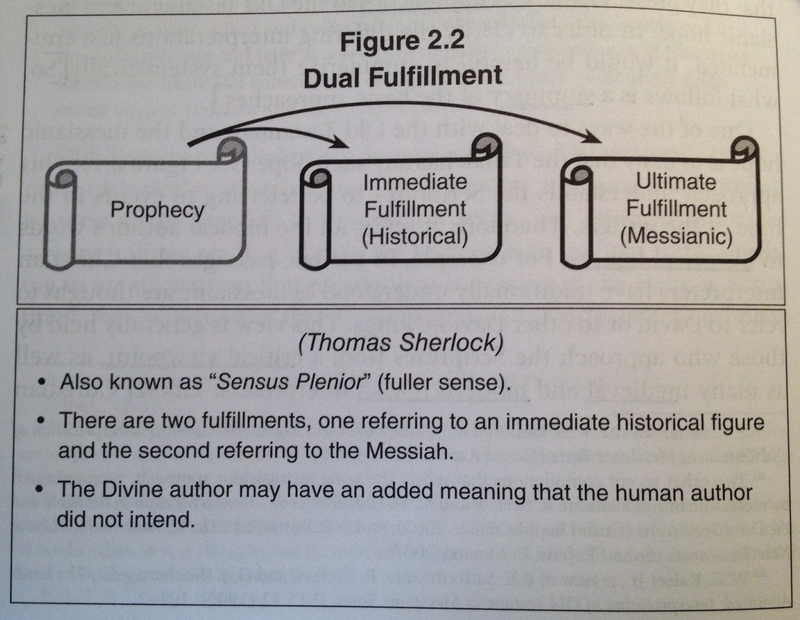 Chapter 2 provides a history of scholarship and common approaches to NT “fulfillment”. In a few places I found his definitions unclear (the “relecture” explanation was confusing), but overall this is an excellent and illuminating introduction to messianic prophecy, even if one disagreed with Rydelnik’s overall thesis. The tables are an immense help in visually untangling a knotty variety of views. Chapter 3 is the first of five chapters arguing that the Old Testament is inherently messianic containing many direct predictions of a future Messiah. This chapter argues on the basis of text-critical evidence that the “somewhat late” (p. 34) Hebrew Masoretic text is often considerably less messianic than other earlier versions (e.g. Samaritan Pentateuch and Septuagint). Rydelnik examines a few passages to illustrate this (Num 24:7; 2 Sam 23:1; Ps 72:5; Isa 9:6; Ps 22:16) and contends that alternative readings can be superior at times. There was much good here, but some examples were stronger than others. As much as I’d like to agree that “Agag” in Num 24:7 should actually be read as “Gog”, I found his arguments unpersuasive on deeper examination. Chapter 4 argues that the OT reads itself messianically by tracing how later OT books interpret three Torah texts (Gen 49:8-12, Num 24:14-19; Deut 18:15-19). Chapter 5 gives a great introduction to the Hebrew ordering of the OT, why it should be preferred, and how its very structure is shaped to foster a messianic hope. Chapter 6 shows that the NT authors regarded the OT as messianic and Chapter 7 answers the skeptics who assert that the NT authors misused the OT, using Matthew 2 as a paradigm of “the four ways the New Testament uses the Old” (p. 97). To my relief, Rydelnik does not argue exclusively for direct fulfillment, despite the thesis of this book. 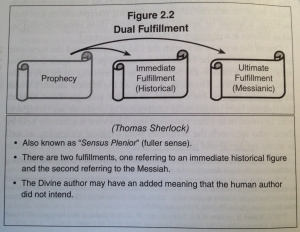 He allows for direct fulfillment (Matt 2:5-6), but also typological (Matt 2:15), applicational (Matt 2:16-18) and summary (Matt 2:19-23) fulfillments. This shows integrity on Rydelnik’s part; he is truly wrestling with the text and not wearing tinted glasses. Chapter 8 changes direction a little, by surveying the enormous impact that Jewish Rabbi Rashi’s purely historical (non-messianic) interpretations has had on Christian scholarship. Even John Calvin accepted Rashi’s “humans vs. snakes” view of Gen 3:15. Chapters 9 through 11 delve deep into three test-cases for direct messianic fulfillment: Gen 3:15 (Torah), Isa 7:14 (Prophets), and Psalm 110 (Writings). Each of these passages have been challenged as directly messianic, and Rydelnik hopes to establish the contrary. These chapters gives a superb survey of the opinions and solid reasoning for direct prophecies; they must be taken seriously by opponents. I for one agree with a nuanced messianic take on Gen 3:15, but remain unsure on Psalm 110. However I was challenged by Rydelnik’s strong case for Isaiah 7:14, which I had previously assumed was fulfilled historically in the near future, but typologically in Christ. I plan to wrestle with some of these texts on the blog in the near future. Chapter 12 closes with a very personal plea to return to the Messianic Hope. Rydelnik is to be commended for two disclaimers he makes early in the book. First, he recognizes that he is opposing the views of some of his “teachers, colleagues, and friends”, is quick to express his “highest regard for them as scholars and people” (p. xv) and his own desire to disagree with his brothers in a Christlike manner. For such a personal and polemical book, I was frequently moved by Rydelnik’s humility and charity. What an example for Godly disagreement! Second, neither the viewpoints of Rydelnik’s opponents, nor his own, are oversimplified. This debate cannot be boiled down to two camps: messianic vs. non-messianic. There is a wide spectrum of broader approaches and interpretations of difficult texts (ch 2). While Rydelnik is defending “direct” messianic prophecies, and his most prominent sparring partners are those who deny these outright, he does not limit himself to only this one approach. He recognizes other approaches, and even adopts them at times as the best integration of the Biblical data. No doubt my review has made this book sounds dense, and it is! And all this in under 200 pages. It may seem a natural conclusion then, that The Messianic Hope is strictly for academics or those familiar with this issue. Rydelnik would recoil in horror at such an assertion. He has clearly intended this for wide consumption, and his writing is abundantly comprehensible and surprisingly easy to follow (most of the time) even when discussing text-critical issues or when elbow deep in exegesis. The Messianic Hope is a great read for those from all perspectives. It would certainly be useful in a Christ in the Old Testament class, and the first few chapters ought to be required reading in such a class. 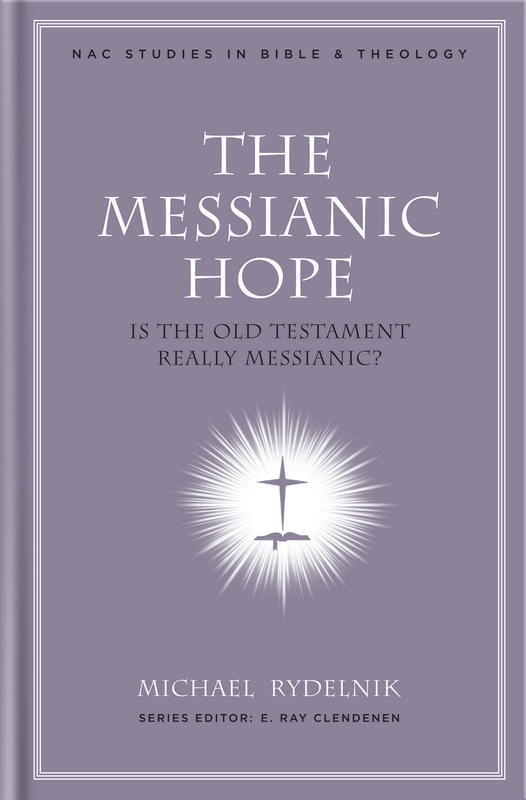 I suspect some dismiss the direct messianic approach as heavy in tradition and light in argumentation, but I hope that people from all perspectives will read The Messianic Hope as it shatters such assumptions. Personally, while I certainly find direct prophecy in the OT, I find myself agreeing most broadly with a typological fulfillment approach (Dempster, Hamilton, Beale) and think it doesn’t result in a non-messianic view of the OT. However, The Messianic Hope has left me unsettled and uncomfortable! While reading, I was poked and prodded to reexamine the texts themselves and not be too quick to settle. A book that exalts Jesus and encourages us to reexamine our traditions and the Biblical text can never be a bad thing! Many thanks to B&H for graciously providing a review copy of The Messianic Hope, though this has not impacted my opinion of the book.